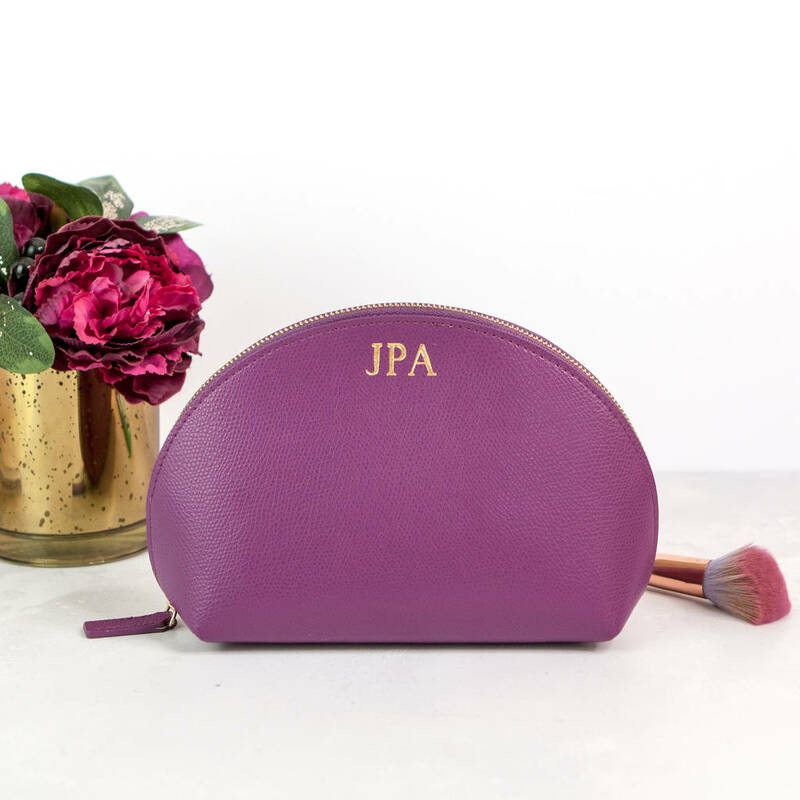 A beautiful make up bag made with premium recycled leather and a luxurious, reptile effect finish. 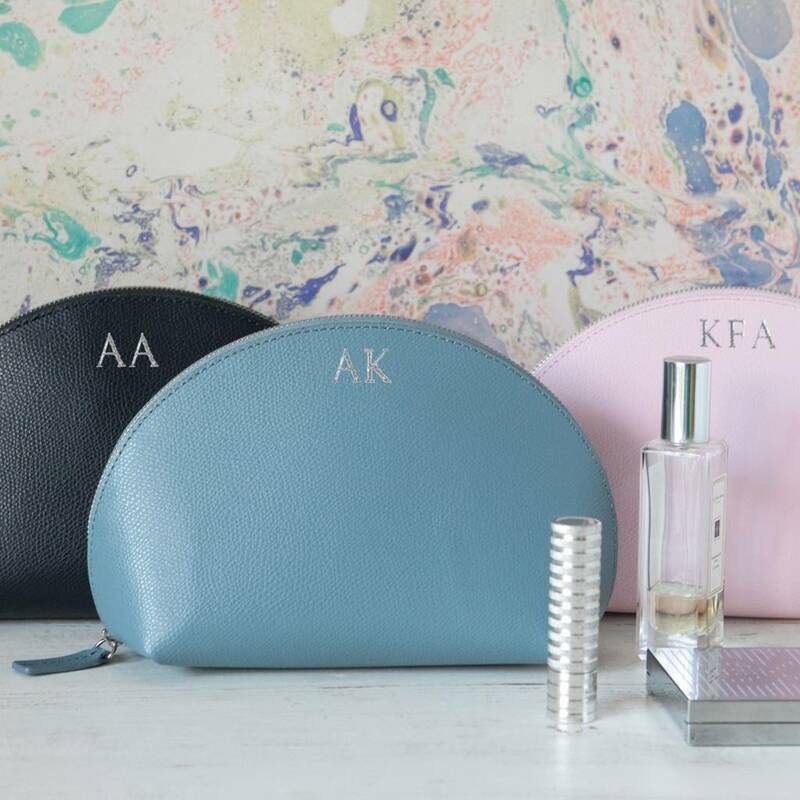 Can be personalised to make it really special. Exclusive to BeGolden, from our limited edition range. 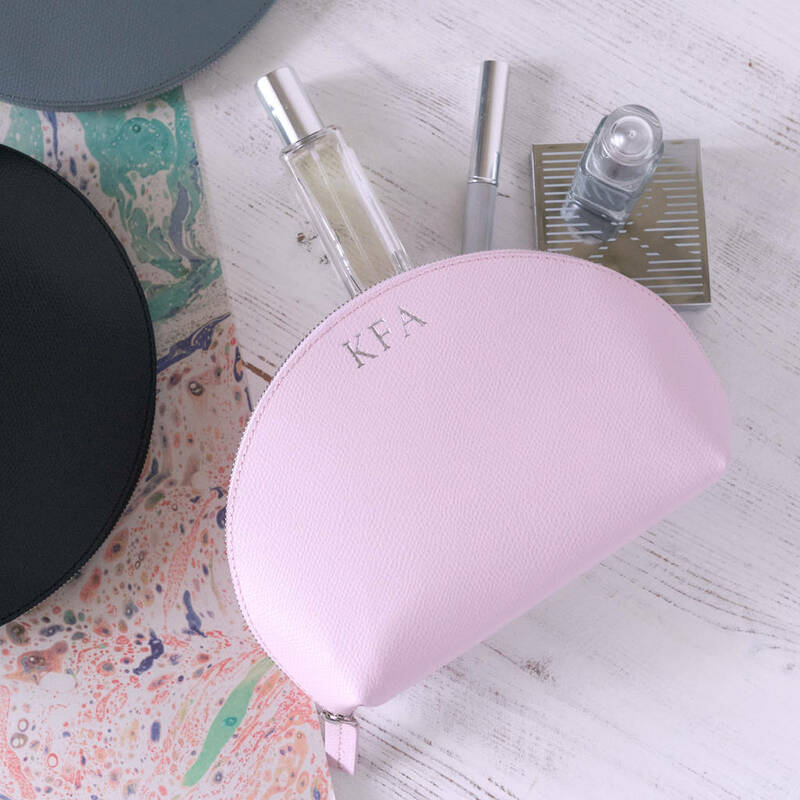 Make up bags are one of those things (like shoes, handbags, coats..) that you can never have enough of! And they don't last for ever, so it's always such a treat to be given a new one. 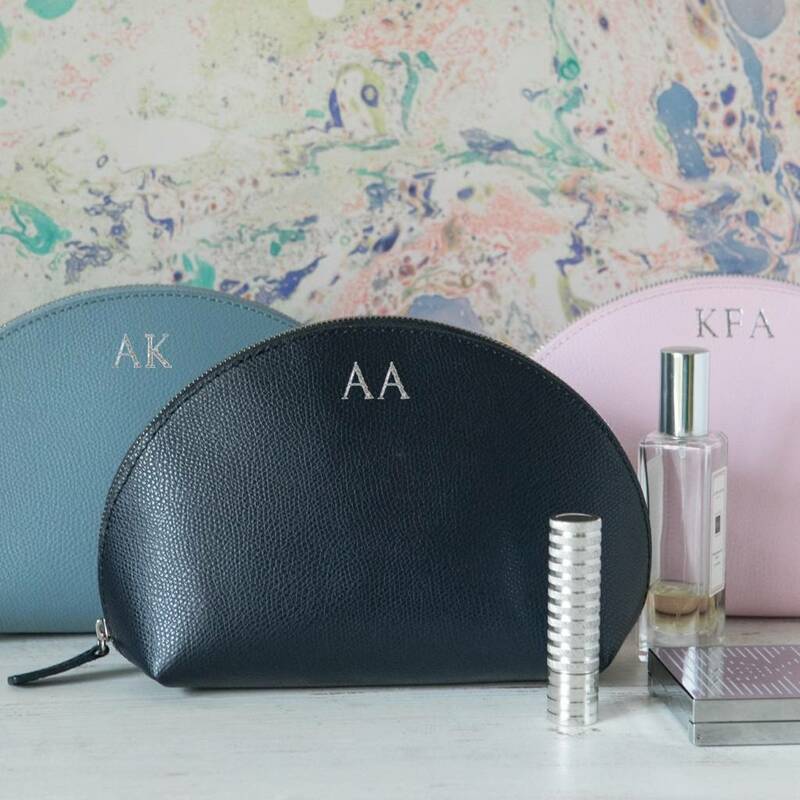 With a beautifully upmarket 'lizard look' finish these make up bags are tactile, beautiful, elegant and useful - perfect! 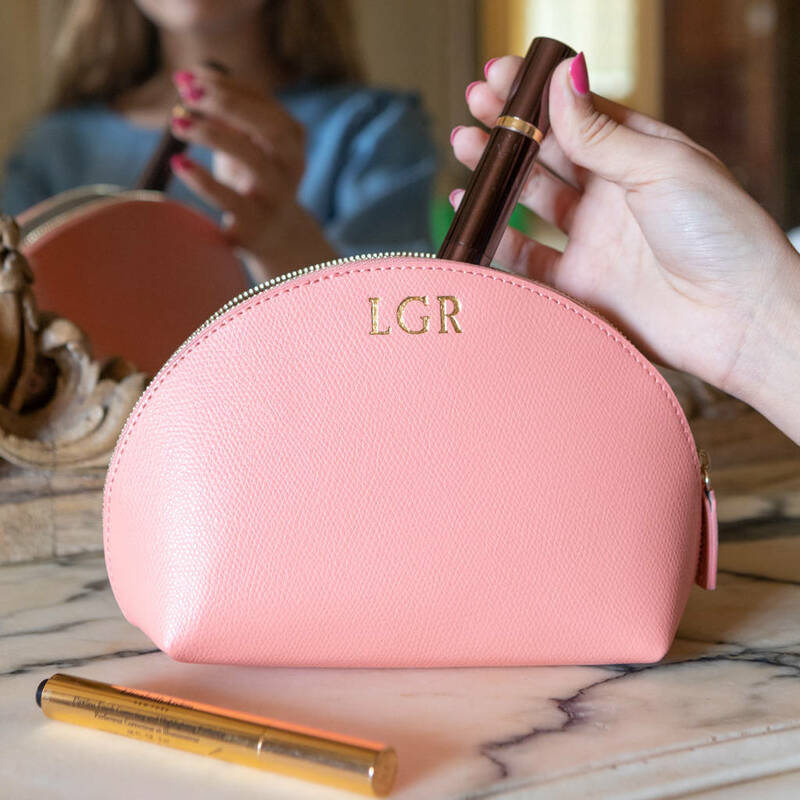 Large enough to carry lots of make up, but still small enough to fit in a handbag. Would also work well as an evening pouch as plenty big enough to hold a phone, make up, keys, money etc. 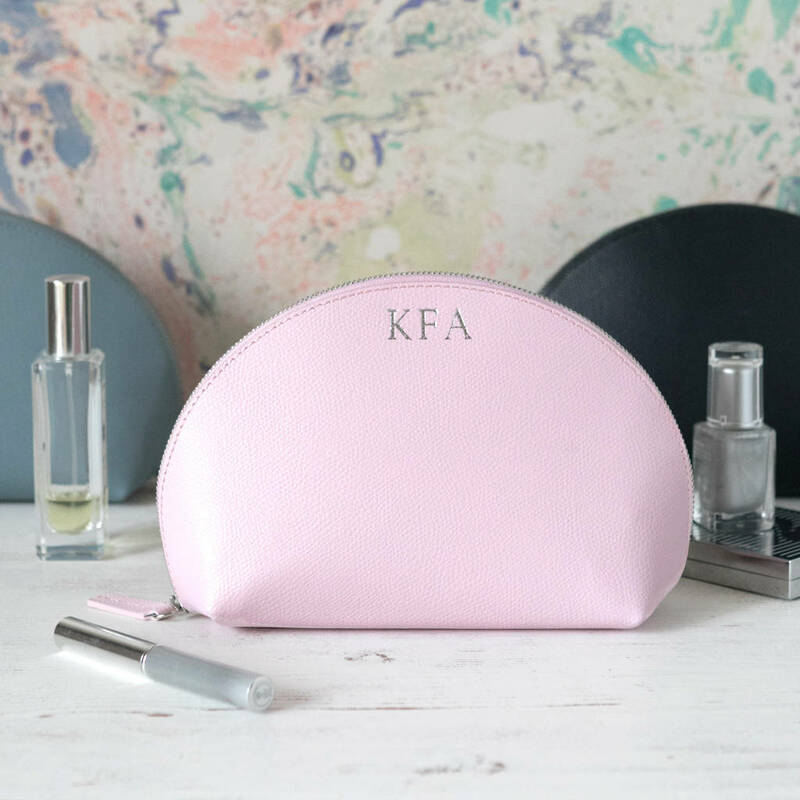 A great gift for a friend, sister, mother - everyone loves a new make up bag. 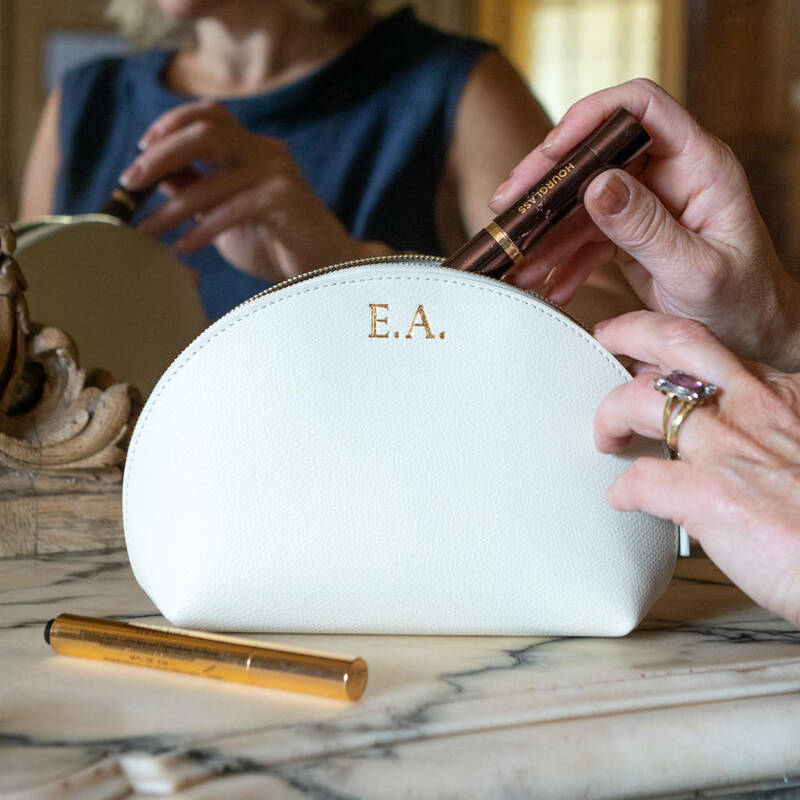 You can personalise your make up bag with up to five characters (type in exactly as you want to see it eg. VLM, K.T.E). 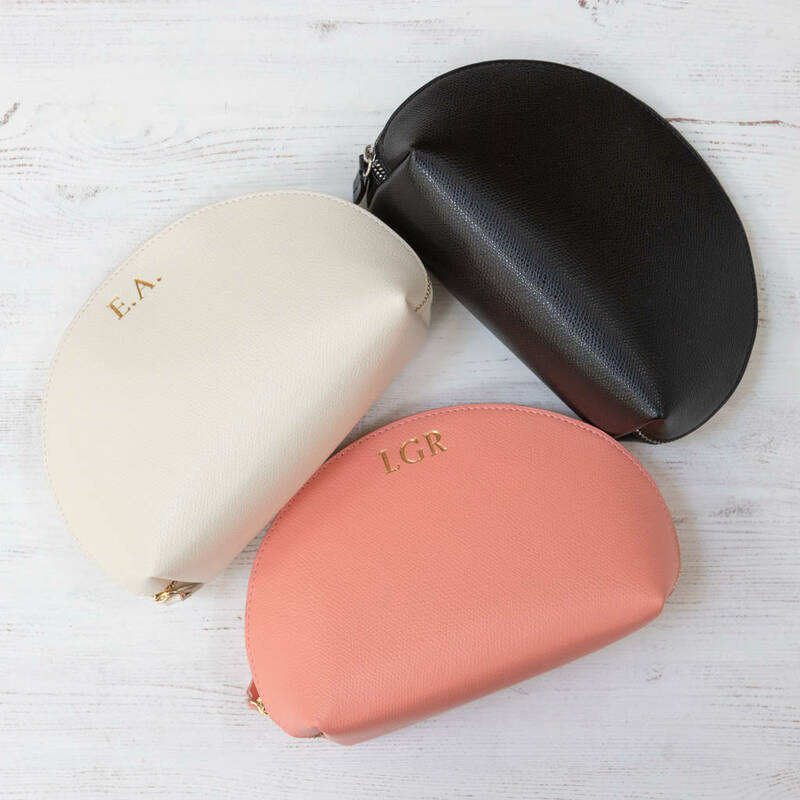 The peach, mulberry and ivory make up bags are printed with gold foil and have a gold zip, the other colours are printed with silver foil and have a silver zip. 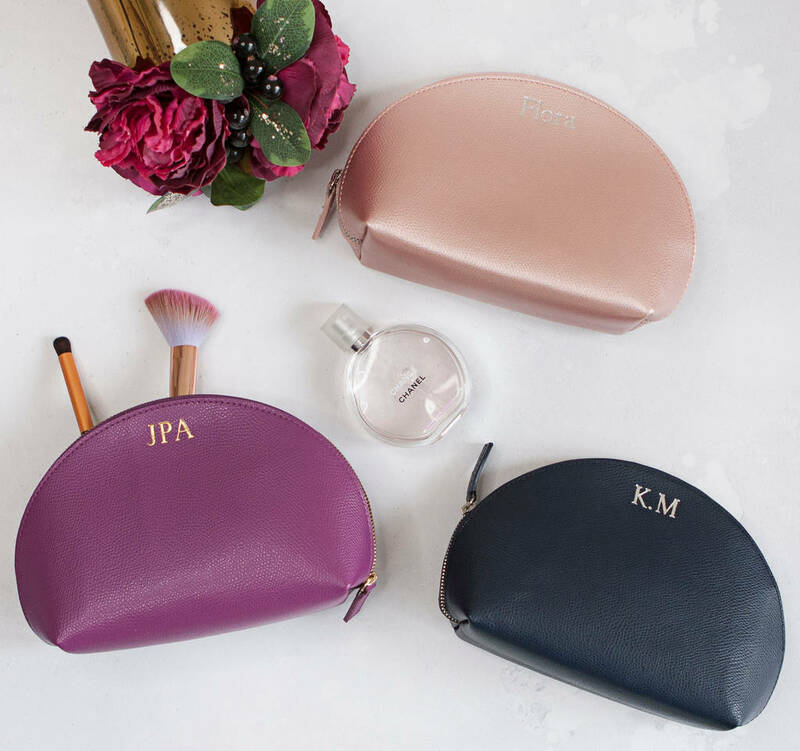 Comes in 9 beautiful colours: iced pink, dark midnight blue, black, peach, ivory, metallic blush (rose gold), silver and slate grey. New for 2018/19 is our gorgeous mulberry colour. 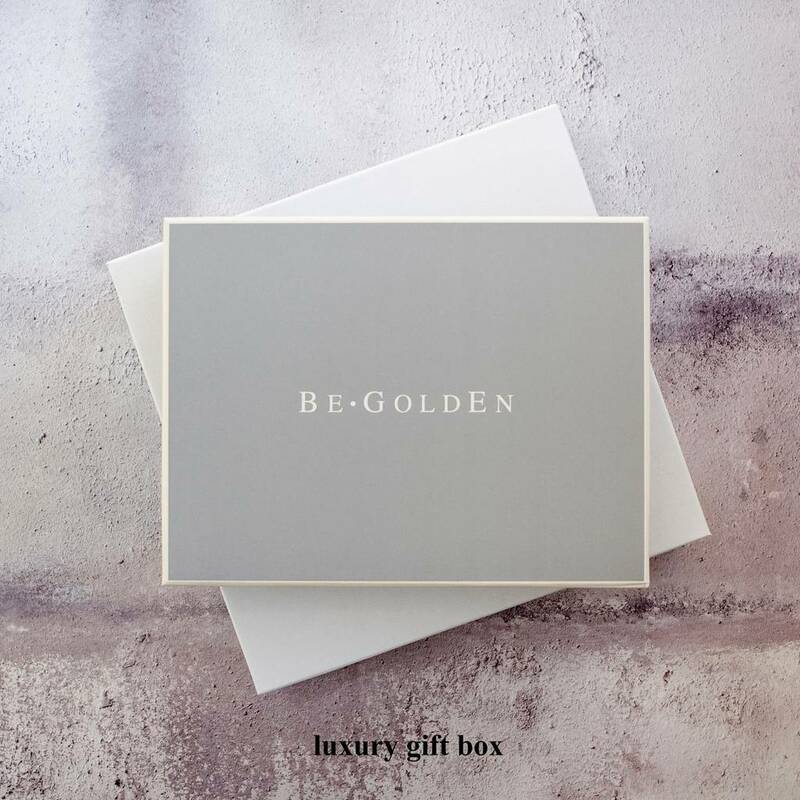 We also sell luxury boxes, perfect for when giving as a gift. 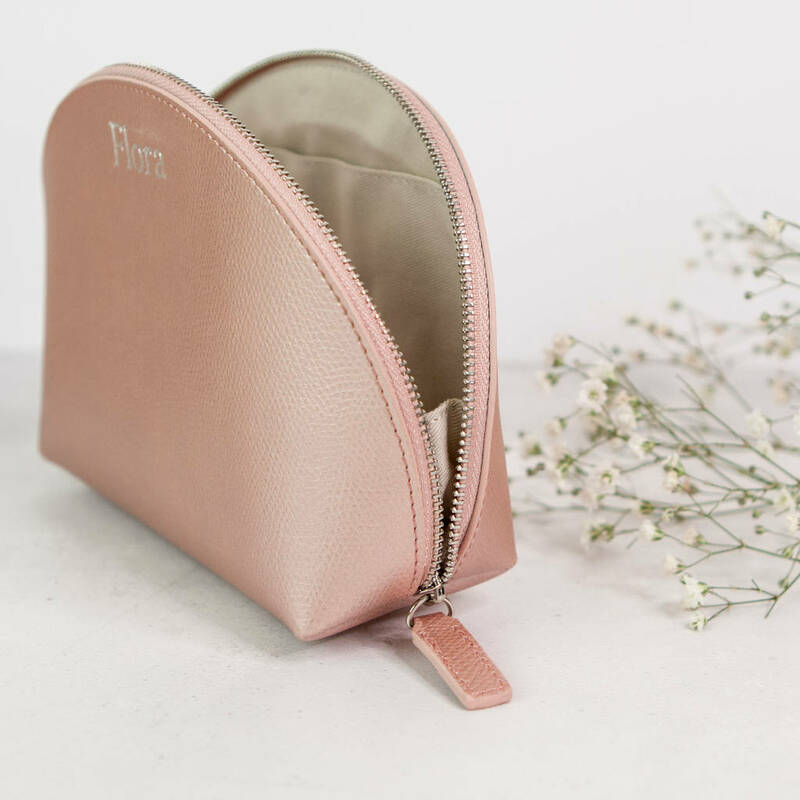 Made from recycled leather with a 'reptile effect' finish. Has a fabric lining. 20 cms long, 13cms tall and a depth of 7cms.